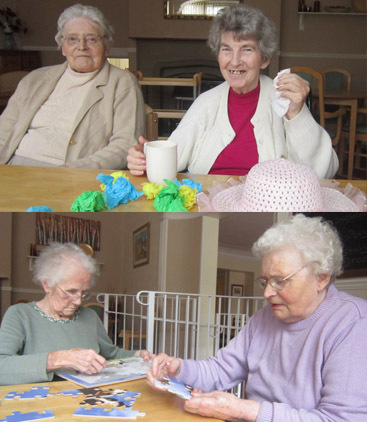 Regular activity sessions take place at the home (art and crafts, exercise to music, gardening etc) and a variety of musical entertainers also visit. We also encourage residents to maintain links with the local community and for those who wish to participate we also arrange a variety of trips and outings. Also via residents' meetings the residents are involved in the planning of such events. Attention is also placed on a resident's spiritual and cultural requirements and this is addressed by the care planning process. Personal celebrations such as birthdays and anniversaries are also encouraged. The Cedars is striving to provide meaningful occupation and activities for all residents and this is closely linked to our interest in an individual's life history and story.